We obviously didn’t harvest all our potatoes last year, because potato plants started sprouting in the garden in February. 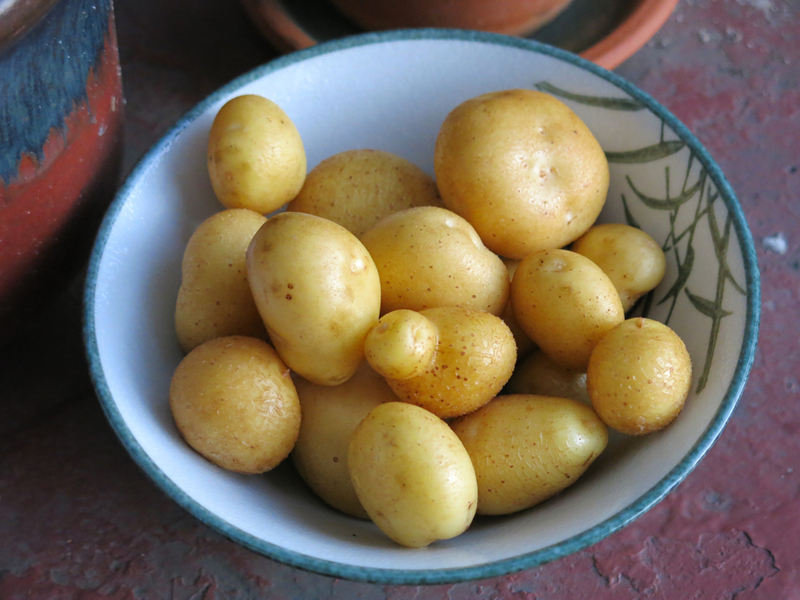 Carol wanted to plant pole bean seedlings in that part of the garden, so she dug up the potatoes and got three or four pounds of lovely little Yukon Gold potatoes. We made coconut milk curry.